Are we employing circular reasoning when we use the teaching of extant scripture to argue that the Bible was preserved? After all, if the Bible wasn't preserved perfectly, then we can't trust fully what it says. In that case, even though the Bible teaches preservation now, that doesn't mean that it did so originally. Thus, when we point to verses that say that the Bible is preserved, we are already making the assumption that those verses have been preserved in their inspired state down to the present day. 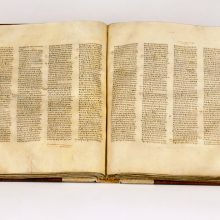 So is it valid to argue for preservation from scripture? Of course it is! Every system of thought is based on certain axioms or presuppositions that cannot be independently proven. They have to just be assumed. For example, it is impossible to deduce the rules of logic without using logic. But we know that the rules of logic are correct, because they are logical. Yes, this is circular reasoning, or self-confirmation. But it is something that is impossible for our finite minds to avoid. In every area of our lives, we make assumptions that cannot be independently proven. And that certainly includes our faith in scripture. Even when we believe that the Bible is true, we do so ultimately because it claims to be the word of God, and that God cannot lie. In other words, we believe that the Bible is true because it says that it is true. Of course, just because someone claims to be telling the truth doesn't mean that they can be trusted. In terms of formal logic we've proven nothing, whether the conclusion is true or not. But we know that when we start from the presupposition that the Bible is trustworthy, we learn from experience that it certainly is. In other words, we accept it by faith, and whether or not that faith is "blind" at the start, everything that we see will only confirm it. In the same way, when we quote scripture in regard to preservation, we are in fact not proving anything, logically speaking. But we are providing a starting assumption, a basis for believing that the Bible is preserved, a foundation for that faith. And we find that when we examine what our eyes can see, it is totally consistent with that proposition offered by scripture. In logical terms, yes, we are begging the question. But our task is not to prove logically that the Bible is preserved. That isn't possible, any more than it is possible to prove that the Bible is wholly true. It is something that can be tested, but it cannot be exhaustively proven. Our mission here is instead to show that there is every scriptural basis for faith in the idea that the Bible is preserved. And then that this is also exactly what the historical evidence attests. It is important to remember that an argument does not have to be logically meaningful in order for the conclusion to be true. Indeed, formal logic does not deal with whether a conclusion is true or false at all, only whether an argument is considered logically valid or not. In this case, we are not just making an argument, we are stating the basic premise of what we believe: that the Bible, as we have it, is true. This necessitates preservation, yes, and so it assumes preservation from the start. 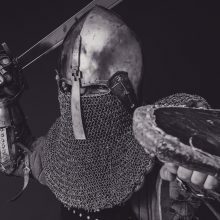 In fact, without assuming preservation, it is impossible to argue anything from scripture; the truth of extant scripture is assumed whenever the premise of an argument is that "the Bible says." Yes, you have to decide whether you are going to believe what the known text of scripture says. Or whether, on the other hand, you are going to assume that no extant manuscripts can be trusted, and that the Bible is not preserved. But be aware that you are using circular reasoning to discredit these verses: you are assuming that the Bible is corrupt, and therefore discarding the verses that say that it isn't. But if your assumption is false, then those verses are also true. We can either assume that the Bible is corrupt despite what it says, or that it is preserved in accordance with what it says. Both are self-confirming, or circular in their argumentation. But only one can be true. Which one will you place faith in?